Few concepts in music theory have provided me with an “aha” moment quite like learning about the relative major and relative minor keys. The realization of the relationship between the two brings quite a bit of clarity to the learning the major/minor scale patterns and sets the groundwork for exploring the concept of modes. I’m sure the suspense is just killing you, so let’s get to it. 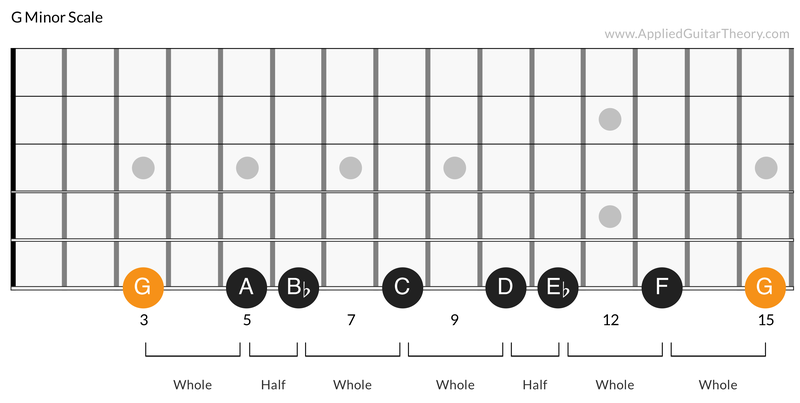 The major and minor scales are built upon 7 intervals, or degrees, with both scales following a set pattern of whole (2 semitones) and half steps (1 semitone). 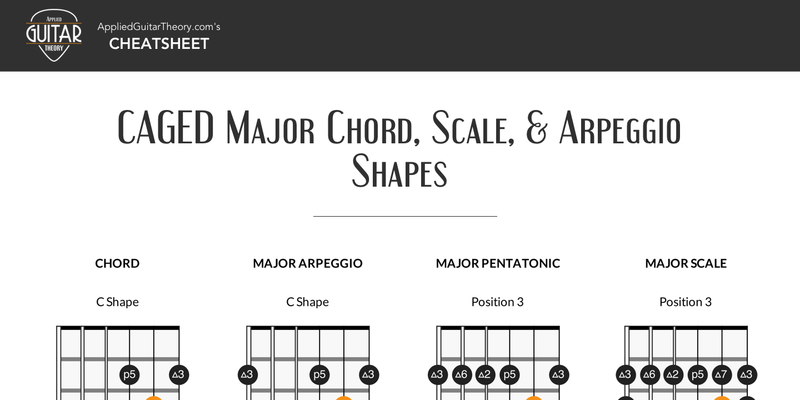 Each degree of the scale produces a chord quality that is determined by stacking thirds. If we take a look at a specific example, say C major for its simplicity, and examine its 6th degree (a minor interval) you’ll notice a relationship that exists between it and the parent major scale. You’ll notice that both the C major scale and A minor scale contain the exact same notes and chords! This is what is meant by relative major and relative minor. The two keys share the same key signature. This concept applies to all major and natural minor scales. 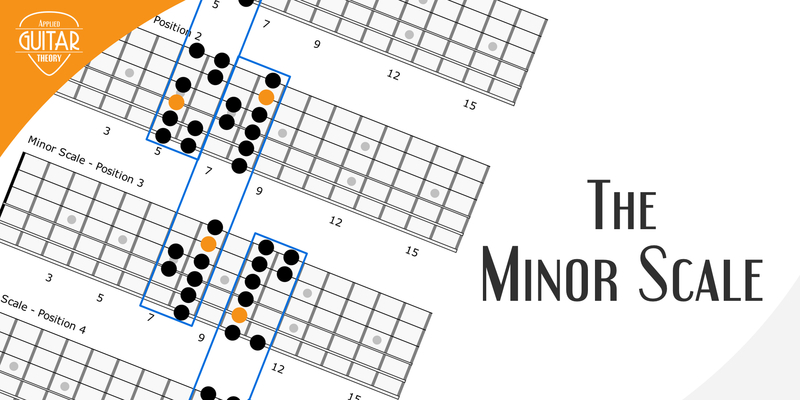 The 6th degree of the major scale is the relative minor. The 3rd degree of the minor scale is the relative major. So if these scales share the same notes, what’s the difference between playing in the key of C major and the key of A minor? The difference is the tonal center, or the tone which the music is centered around. You can use the exact same chords, scales etc. for both keys, but the tonal center will determine the key. 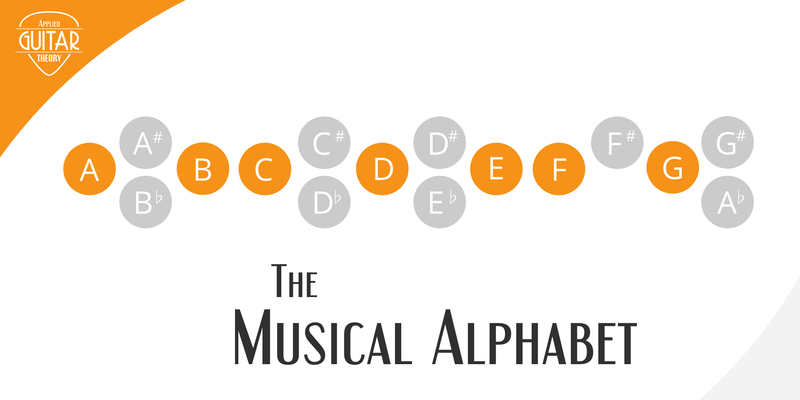 If the music is centered around a C major chord progression or melody, you would consider the key to be C major. Conversely, if the music is centered around an A minor chord progression or melody, the key would be A minor. To summarize, the relative major/minor are scales contain the same notes and chords and thereby share the same key signature. 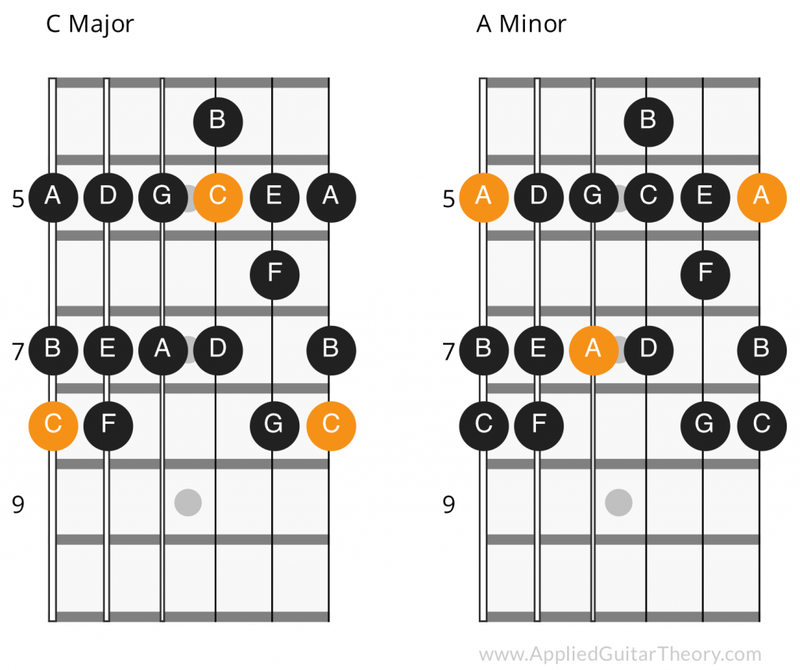 The relative minor is the 6th degree of the major scale and the relative major is the 3rd degree of the natural minor scale. The key of a piece of music is determined by the tonal center, the predominate tonality of the music. This is an important point to remember when learning about modes. 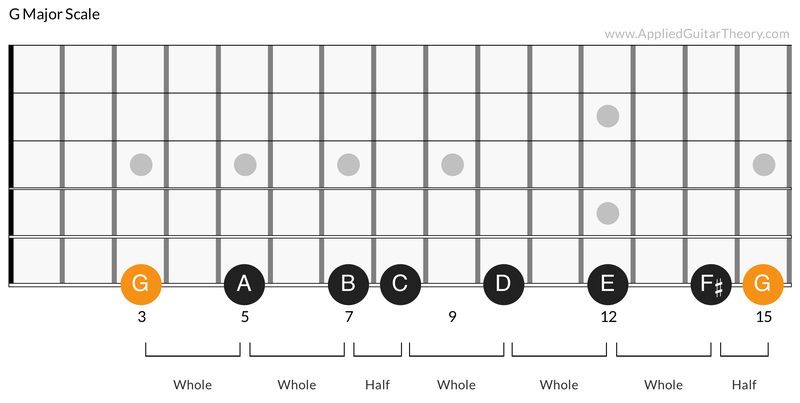 All modes contain the same notes/chords of their parent scale and the tonal center will determine the mode that is being played.